Through the years, I have had customers who were convinced their TV was spying on them. I remember one incident nearly 50 years ago when I worked for Sears. An elderly lady called in and said her set, which we had recently repaired, was spying on her. She told my boss that the “people were waving back at her.” We all had a good laugh and attributed it to senility. Well, guess what, the new sets actually are capable of, and in many cases, actually do spy on you. What is a Smart TV? The short answer is simply a television that has integrated hardware and software that allows you to connect to the internet, or your home network and stream from your devices or browse the web. How are the manufacturers accomplishing this? It was discovered a few years ago, that Samsung was recording any voice command as well as anything else said during the interactive session and uploading to the Samsung Cloud. Samsung’s reply was that the information was being used to enhance the functions of the set. It should be noted that the same Samsung models that had this feature also had built-in cameras. The manufacturers are also tracking you through software, sometimes referred to as “crapware”(formerly called bloatware) that comes installed in your set. Why are the manufacturers doing this? MONEY. The fact is that the profit margin is very small manufacturing TVs. To maintain profitability, the manufacturers are being paid to install these apps and being paid for the data that is being collected. They may also sell ads and get paid every time you watch a pay-for-view show. New Smart Set remotes may have dedicated buttons, for Netflix, HULU, or other streaming services. The TV manufacturer is paid to put these features on the remote. Will not using the Smart TV feature stop the spying? NO, as long as the set is connected to the internet, your viewing data can be uploaded to the manufacturer’s servers. 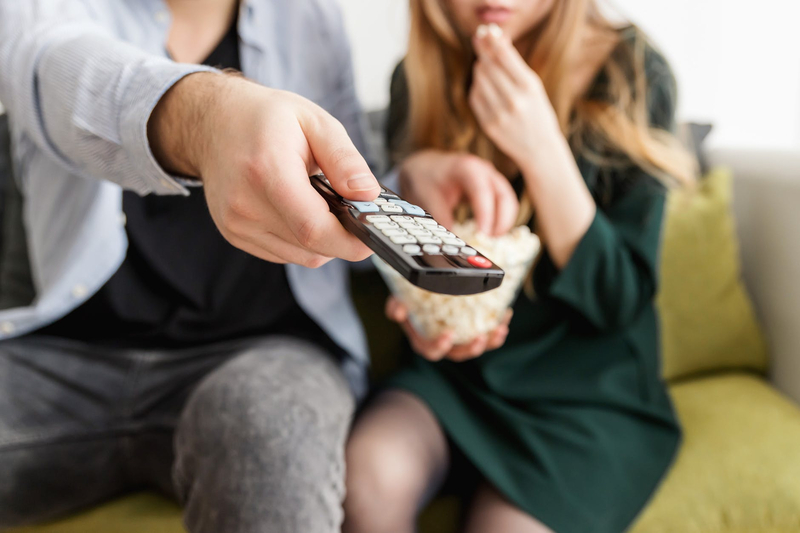 Even if you are using a desktop box, a Fire Stick, Chromecast, or even watching over-the-air content, the data is being captured through a feature called ACR(Automatic Content Recognition). The TV manufacturer knows what you are watching and when you are watching it. They can then sell this information to marketers and advertisers. What can you do to prevent your TV from spying on you? The most effective method is to disconnect the set from the internet. However, your set may not get critical updates. If you wish to stay connected to the internet, look for settings that allow you to turn off sharing this data. The TV makers are required to warn you and ask your permission when you initially set up the internet connection through the Smart functions. The exception was Vizio, who was fined millions of dollars for making this a default feature. The problem is that the instruction or prompts are sometimes not plainly labeled and there are “warnings” advising you not to disable the feature. If you are unsure how to do this, call customer support for your brand of TV. What are the broader implications of these invasions of privacy? For one thing, the data transfer protocols on these Smart Sets are not entirely secure. As a matter of fact, there was a Wikileaks entry that the CIA was using vulnerabilities in Samsung and TCL-ROKU sets to collect data. Another concern is as we connect many of our devices to the internet and even our cars can upload data. Auto insurance companies could use this information for setting premiums. Health insurance companies could use collected data from health-related devices to do the same thing. George Orwell was quite prophetic in his novel “1984.” Big Brother is, indeed, watching us.